Dr Sarah Parcak thinks that "excavating a pyramid is the dream of every archaeologist" but that Indiana Jones is "old school". Well, she must know. After all, she has discovered 17 pyramids and 1000 tombs. From space. Seventeen pyramids, one thousand tombs and 3000 ancient settlements. That's what Parcak—an Egyptologist from the University of Alabama in Birmingham—and her team have discovered without even moving from their armchairs. 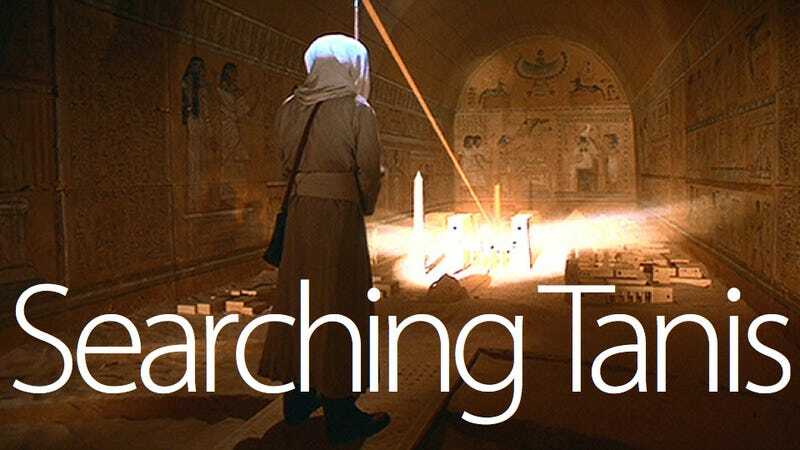 Using infrared satellite imagery, the team has been looking for archeological rests in Tanis, the legendary city Northeast of the Nile delta, which became the capital of Egypt during the 21st dynasty. And while there's no Map Room in the real Tanis, the satellite—which takes photos from a 435-mile (700km) orbit—is so accurate that it can clearly chart a perfect plan of the area, with the streets and every building buried in the soil. In fact, it can tell if a tomb has been looted or not, distinguishing objects one meter in diameter and even identify materials under the surface of the desert. They'd excavated a 3,000-year-old house that the satellite imagery had shown and the outline of the structure matched the satellite imagery almost perfectly. That was real validation of the technology. She believes that, by making them understand the sites as a whole and have a clear idea of where they are getting in, the work can be more selective and focus on the important places.